Lemon Poppy Seed Muffins are one of my favorites. I have been wanting to make some poppy seed muffins for awhile now. The first batch I made were slightly burned, but this second batch came out great. They are light and fluffy. My daughter almost ate the entire batch herself! Even the burned ones. 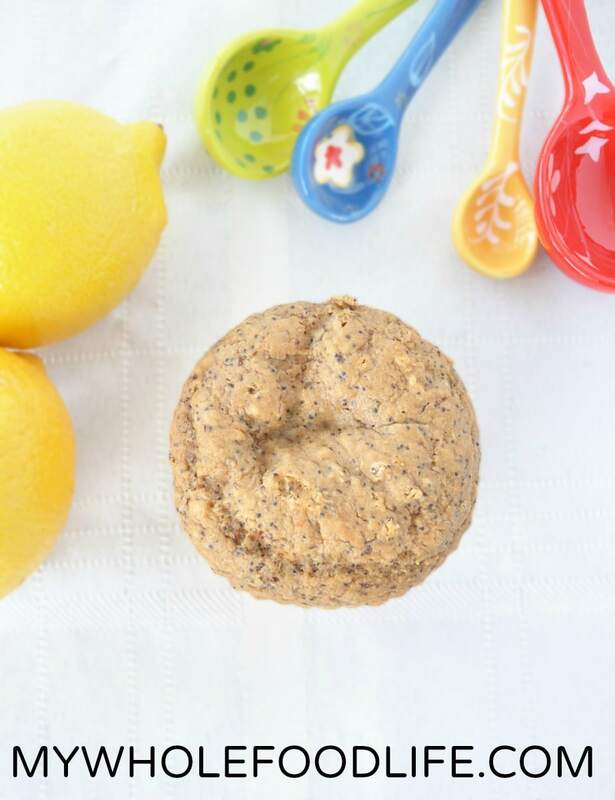 These lemon poppy seed muffins are vegan and gluten free. 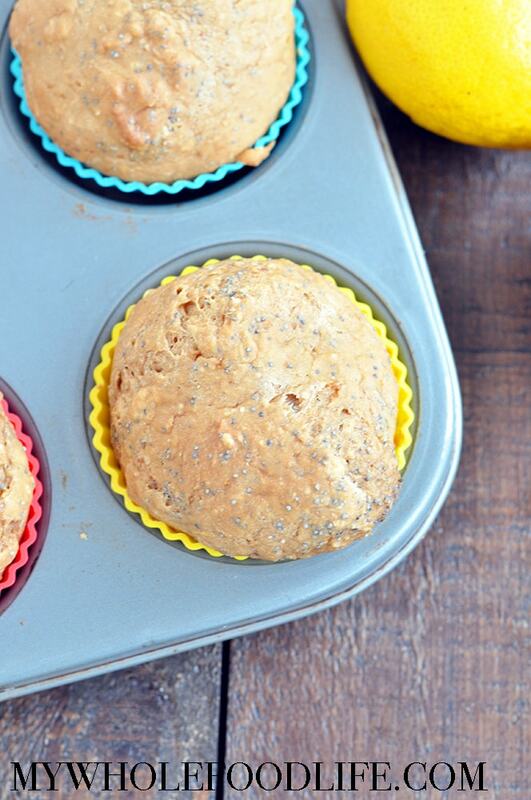 If you are a lover of all things lemon, then you will love these healthy muffins! I used oat flour in mine, but you can also use gluten free all purpose. If you have no issues with gluten, I think spelt flour would be nice as well. If you like these, then you may also like my lemon blueberry muffins or my lemony cookie dough bites. 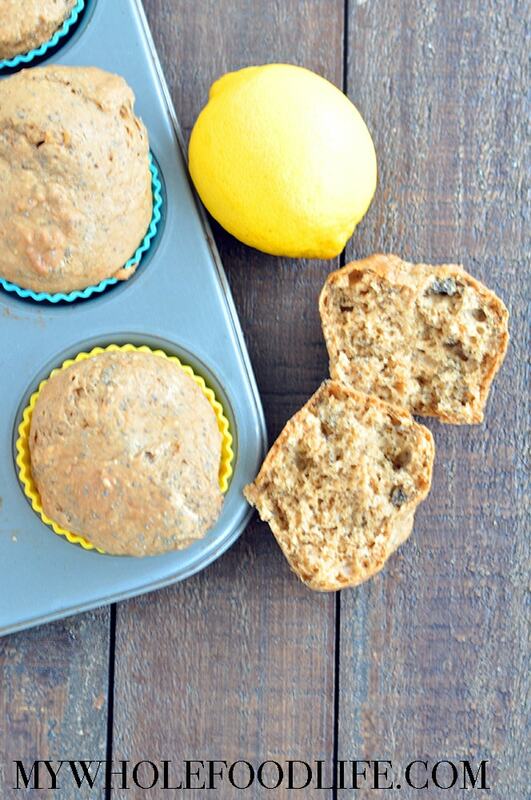 Moist and delicious muffins for the lemon lover in your house! In one bowl , mix all the dry ingredients. Add dry to wet and mix only until combined. Spoon batter into standard sized lined muffin pans . Bake for 10-12 minutes or until a toothpick comes out clean. Let the muffin cool completely before removing from the pans. Store in the fridge or freeze for longer. Enjoy! Hey Melissa! These look fantastic but I can't tolerate oats. Do you think I could sub almond flour instead? I think that may work, but you might have to add an extra egg. These sound so good!!! I'm wondering if you have any suggestions on possibly using maple syrup instead of coconut sugar? My son is allergic to coconut! Maple is liquid though, so don't know if it would work? Thank you!! I think you could totally use maple syrup. Just decrease the milk a little. I have never used quinoa flour, so I am unsure of how it will work in this recipe. These look awesome, I love lemon!! Can't wait until I have time to make them! Thanks Kayla! I love anything lemon too! I am not sure if you need to decrease. Let me know how they turn out. Melissa, do you think you can include the calories per serving as the diet I am on requires me to know this. Thank you! Hi Erica! I don't include them since I don't weigh out my food. It will never be exact. You can plug the recipes into My Fitness Pal for rough estimates though. Omgosh love the. Easy ring spoons! Where did you get them?! Thank you! I got them at World Market. Love that place! I just made these and oh my goodness! they are soooo good! thank you!!! in a pinch could I sub at least partially with regular flour? How was the texture of your muffins, Melissa? Mine were on the chewy side but the toothpick came out clean and I actually left them in the oven an extra 5 minutes. I did use GF AP flour so not sure if thats why or maybe should have cooked them longer? What do you think? Oh, I so wanted to love these but I've now tried them twice without success. Too gummy. I barely mixed the batter, knowing GF flours can be rubbery, and have made them separately with both oat and GF AP flour. Great taste otherwise! We were also really disappointed in these, though they sounded delicious! I blame the coconut sugar...if I made them again, I would use brown sugar instead. Melissa, I need to use a glass loaf pan rather than muffin-tin...or I could use a glass baking dish/cake pan. Which would you recommend (what size) & how much bake time would you add? Maybe and 8x8 pan? Not sure how long to cook it though. Maybe 30 minutes? I made these and really liked them. Texture was nice and light which doesn’t always seem to be the case with GF. The only drawback was the lemon flavor was not strong enough for me. Next time I will zest two lemons. (Or maybe the lemon I used was not fresh enough?) Thank you for the recipe! Just made these and they were perfect! I used real eggs and whole milk, and ground old fashioned oats in a blender to make the oat flour. Your recipes are always spot on! Thank you! My gluten-sensitive friend will like these!